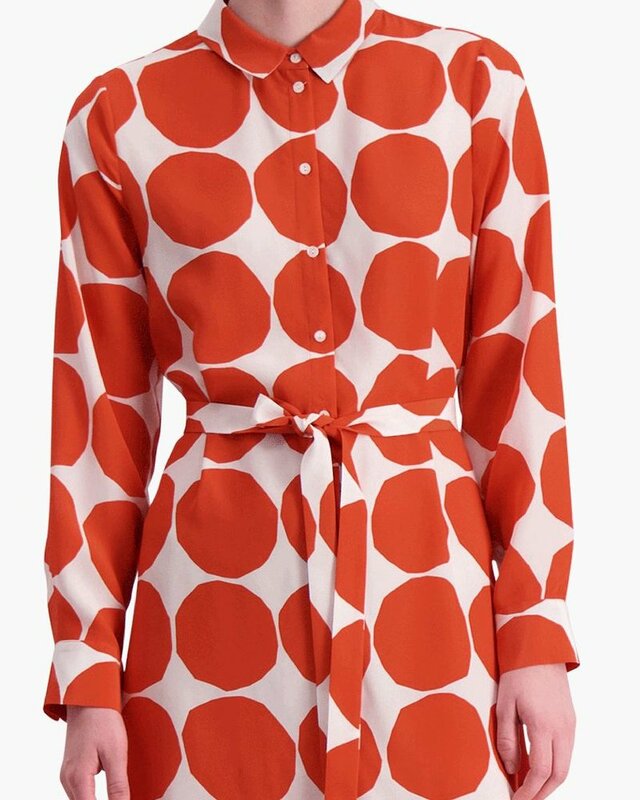 This exciting new dress has a classic button down front of lightly flowing silk in orange and white Pienet Kivet pattern resembling hand cutout dots. The dress comes with a detachable belt, long sleeves with wide cuffs and an A-line hem that ends at the knee. The back of the dress features a yoke seam and a pleat. Main Material: 100 % Silk Hand wash with tepid water. Wash inside out. Wash separately. Do not soak.